Canon did it again just like Apple. 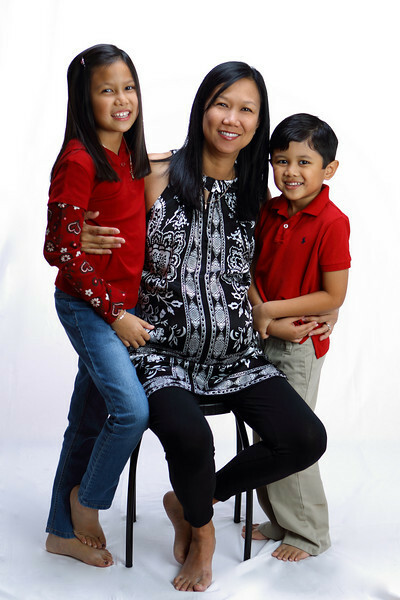 The Canon EOS Rebel T2i impressed me and many other entry level DSLR newbies with outstanding image quality and Full HD video with full manual control performance in a small form factor. Now, exactly a year later, the Canon EOS Rebel T3i exceeds it's predecessor with even more features for the same price point. Sound familiar? Apple iPhone to Apple MacBookPro to Apple anything! History repeats itself many times over. Just like the Canon technology turnover, I give to you my initial Canon EOS Rebel T3i Video Test in 1080p. 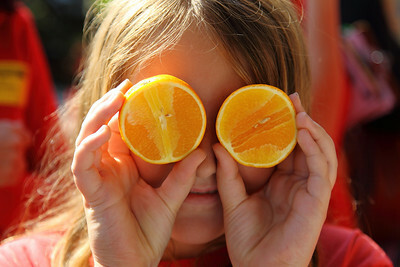 I am working diligently on my full blown Canon EOS Rebel T3i review with ISO and image quality comparisons. So in the meantime, just like clockwork, I shot a video with the Canon EOS Rebel T3i and edited with iMovie'09 for you. 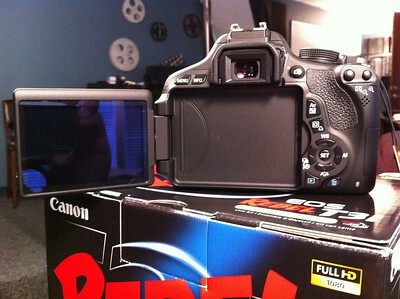 To the amazement of befuddled Canon Rebel T2i owners is the obvious addition of an articulating screen just like the Canon EOS 60D. It does not stop there with the similarities. Remote flash control of specific Canon TTL flashes and manual control of audio for video capture top off a very long list of features. 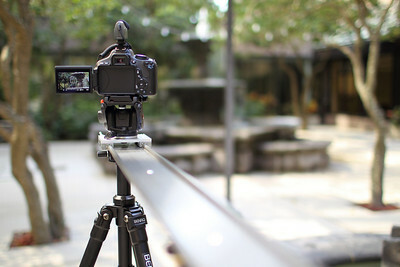 As you noticed in the Canon EOS Rebel T3i Video Test, I used an IGUS Drylin Camera Slider W1080-B to spice up the 1080p video shot at 29.97fps. 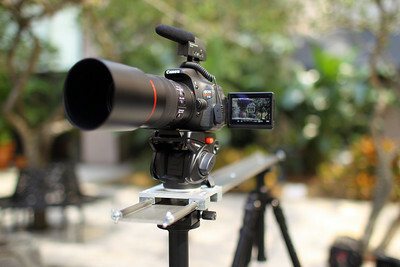 The IGUS slider used a Manfrotto 701HDV head on top of Benro 3580 tripod legs. 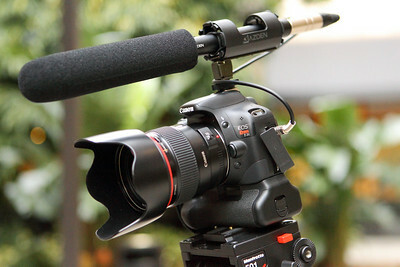 A Sennheiser MKE400 shotgun microphone captured my manually controlled audio and the T3i/600D was paired with the Canon EF 35mm f/1.4L and EF 100mm f/2.8L IS lenses. I edited with iMovie'09 and used Quicktime to compress a 550mb H264 video file. Just like the T2i, the new Canon EOS Rebel T3i shares the same glorious 18mp CMOS crop sensor with a high native ISO range(100-6400) and Full HD and HD video resolution at frame rates of 24p,30p and 60p in both NTSC and PAL. I could go on but that is for my upcoming Canon EOS Rebel T3i Verdict and Review. As expected, the T3i captured video flawlessly with the added bonus of the vari-angle screen for high,low and reverse angle perspectives. I captured the Canon EOS Rebel T3i in action for this video test with my Canon EOS 1D Mark IV. 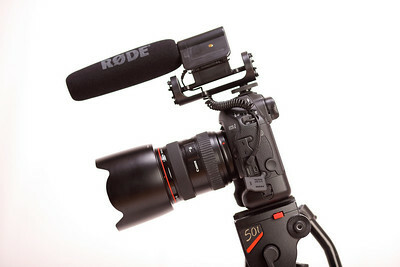 I used a Rode VideoMic for audio and used the Canon EF 35mm f/1.4L and EF 100mm f/2.8L IS lenses. For all Final Cut Pro users out there, I just created a Canon E-1 Movie Plugin fix for T3i video. Do not be confused by all the complicated code in the above picture. 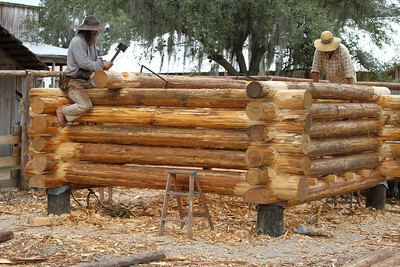 It is the actual modified .plist file that Final Cut Pro uses for the Log and Capture feature. For all non Final Cut Pro users out there, the Canon E-1 Movie plugin automatically transcodes the h264 video files to a lossless editing codec called AppleProRes422. Confused? I was at first but if you dare to jump into the realm of Final Cut Pro, all this jargon will make sense to you. For exact instructions to implement this modified .plist file in your own Final Cut Pro software, go to the Discussion Forum on DVinfo.net. I explain with step by step instructions to install the .plist file in your computer. 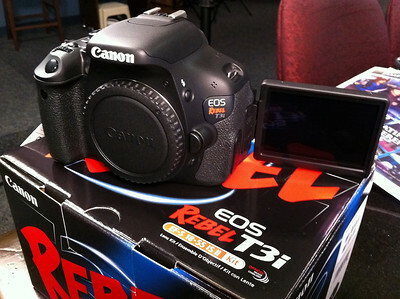 UPDATE: My Canon EOS Rebel T3i Verdict and Video Review is complete. It is no coincidence that today's delivery of the new Canon EOS Rebel T3i from my friends at North Tampa Photography marks the identical delivery date of the Canon EOS Rebel T2i a year ago on February 25th. A year makes a big difference. Introducing the top of the line Canon Rebel series HD DSLR, the T3i/600D. I quickly snapped some iPhone 4 pictures and captured some iPhone 4 video to quickly post to my waiting ChadSorianoPhotoBlog fans. The most obvious feature to the top of the line Rebel is the articulation screen. At first exclusive to the Canon HD DSLR 60D, the very useful multi-angle LCD gives the small form factor Rebel a great feature. 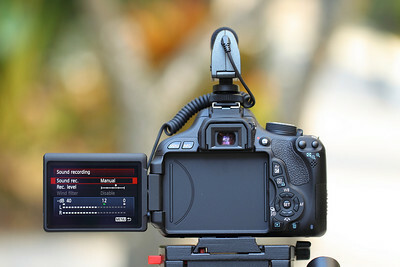 In addition to the articulating Hi-Res LCD, the Canon EOS Rebel T3i has remote flash control like the 60D and the 7D. 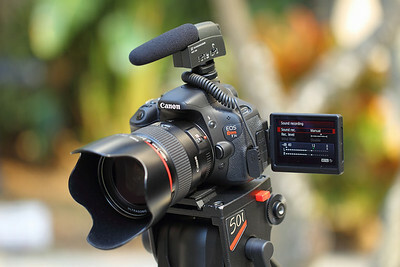 On top of that, you also get 1080p fully manual video capture and fully manual audio control. Unbelievable! 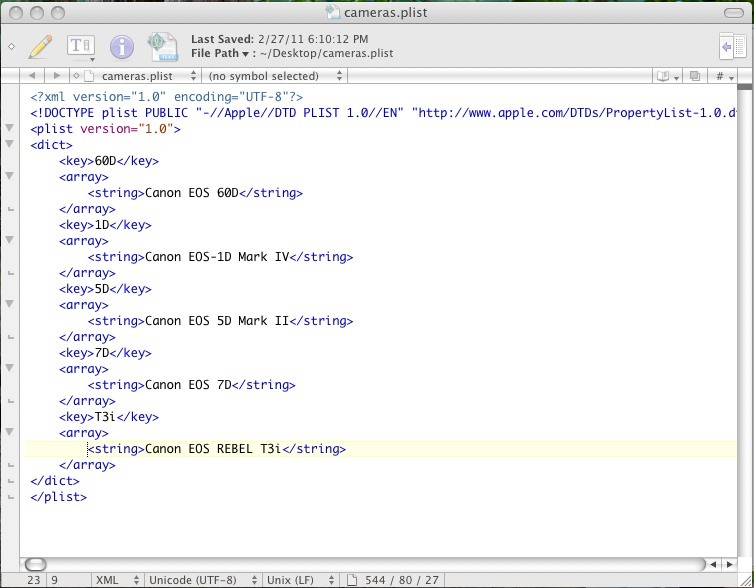 I edited the iPhone 4 video of the new Canon EOS Rebel T3i with Adobe Premiere Elements 9. I used Quicktime at best quality to compress a 160mb h264 video file. Stay updated by becoming a Fan on my Facebook page and following me on Twitter for the upcoming review of the new Canon EOS Rebel T3i on ChadSorianoPhotoBlog. Just over a full year has passed since my shocking discovery at the Vancouver 2010 Winter Olympic Games. Canon gave out coffee mugs in the shape of a life size EF 70-200mm f/4L lens in special press kits for the attending news media. Actually, I saw a post of the coffee mug on Canon Rumors and thus began my envious pursuit. Of course, Canon lens coffee mugs emerged on Ebay immediately from various sellers claiming Winter Olympic authenticity with prices ranging up to $100. Obviously, sticker shocked, I began over the course of a year scouring the internet for a faithful retailer to distribute the Chinese import in the United States for a reasonable price. Patience is truly a virtue! 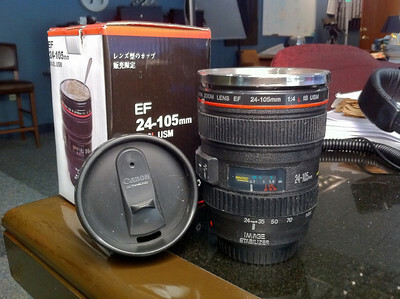 I happened upon a Canon lens coffee mug in the shape of the trusty EF 24-105mm f/4L IS lens from Fotodiox sold through Amazon. I know it is not the authentic EF 70-200mm f/4L Vancouver Winter Olympic Game's version, but beggars cannot be choosers! So for under $20, you can be a proud owner of a Canon Lens coffee mug bought through a longstanding and very reliable retailer. 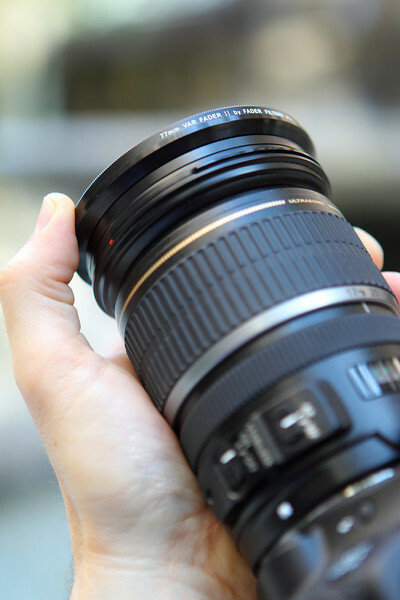 There are some more expensive and even less expensive cups out there, but I thought $15 plus slow USPS shipping was reasonable for a metal lined coffee mug in the shape of the EF 24-105mm f/4L IS lens. The quick pictures above I snapped with my Apple iPhone 4 to display my new beverage treasure. 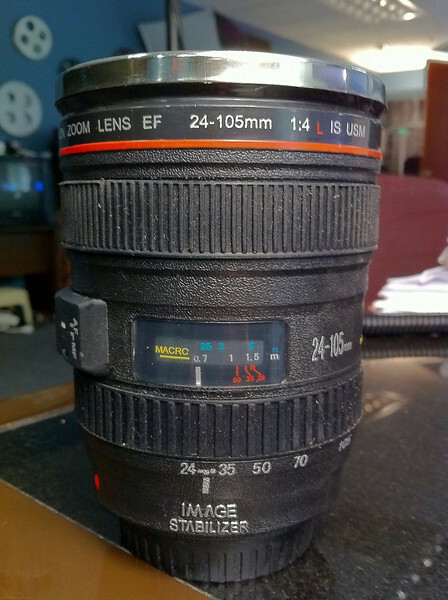 Now I can enjoy my morning cup of caffeine in relative Canon lens bliss! "You are my Density!" exclaimed Crispin Glover to Lea Thompson in the 1985 sci-fi adventure hit, Back to the Future. My preteen imagination of DeLorean time travel never included HD DSLR film making and all the essential tools like a variable Neutral Density filter. The buzzing pursuit of the ideal DSLR video settings like a 1/50th to 1/125th shutter speed, ISO of 160 and a wide open aperture led me to a vital film maker's tool on the internet. HD DSLR pioneers, LaForet and Bloom, tout the necessity of a neutral density filter to reduce the incoming light and modify DSLR video settings for an ideal moving image. A quick Google search displayed a plethora of variable neutral density filters. Unlike fixed ND filters, a variable ND filter replaces several ND filters all in one device. 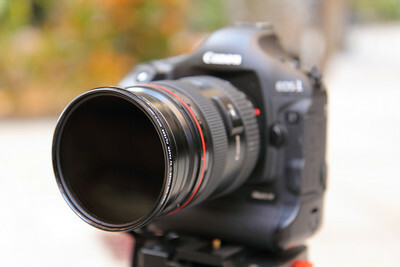 The convenience of rotating the variable ND filter to darken and lighten the image on camera is absolute ease. With benefits come drawbacks and not all variable neutral density filters are made the same. 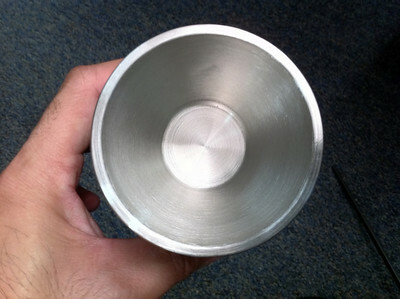 Variable ND filters made in China, Japan and even Florida scour my Google search. Brands a plenty such as Singh-Ray, Genus, Light Craft, Fader and various EBay knock-offs compete for your coin. Which one is the best value? Better yet, which variable ND filter keeps good color and minimizes lens vignetting? With the help of my ChadSorianoPhotoBlog friends, North Tampa Photography and The EditWizard, I began my practical review and video test of a mid price range variable neutral density filter. 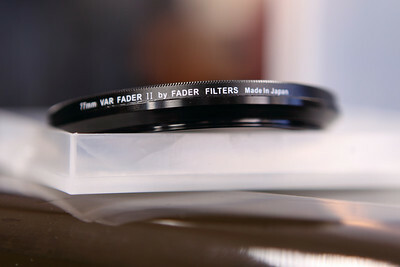 For a street price around $200, the Fader ND Mark II Variable Neutral Density Filter placed itself between the Light Craft and the higher priced Singh-Ray. Vincent LaForet endorses this Fader ND Mark II and you will soon see why. I mounted the Fader ND Mark II by Fader on my Canon EOS 1D Mark IV paired with a Canon EF 24-70mm f/2.8L lens. My video test on Youtube shows the Fader ND Mark II keeps great color throughout the variable ND stops and keeps lens vignetting to a barely noticeable level. 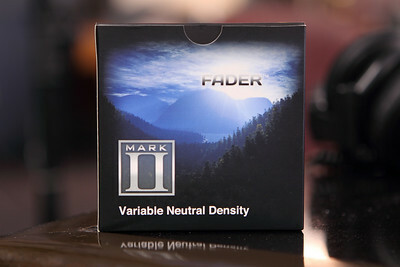 The Fader ND Mark II is well built and the rotating filters has a solid and very smooth feel. I am confident the Fader ND Mark II can withstand hardy use out in the field. 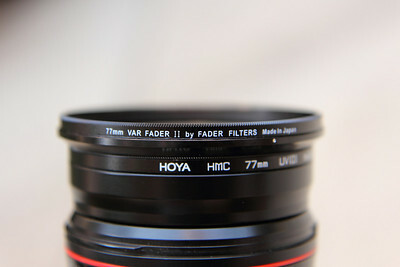 Considering the price, the Fader ND Mark II in 77mm does not come with a lens cap. Well, all you need is a 82mm lens cap because the Fader ND Mark II front rotating glass is one size bigger than the lens filter size. 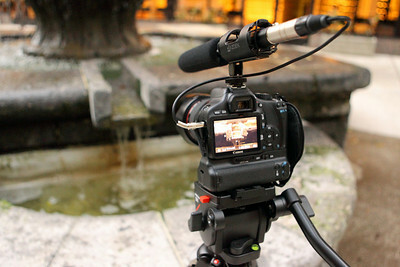 Otherwise, the Fader ND Mark II by Fader is a must have in your HD DSLR film maker's bag. 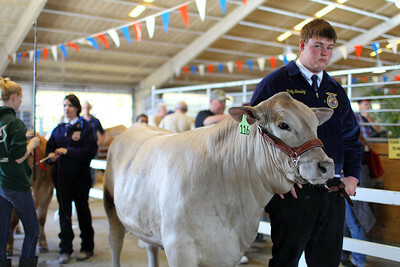 You can view more photos and a video on my Fader ND Mark II Filter by Fader Video Test Gallery. I used iMovie'09 to edit the 1080p video shot at 29.97fps. 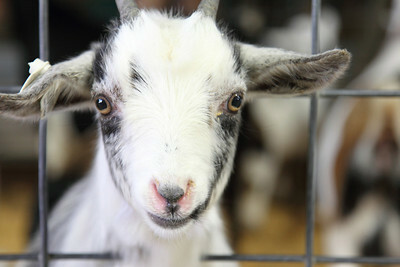 I used Quicktime at best quality to compress a 300mb h264 video file. Become a Fan on my Facebook page and follow me on Twitter to stay updated on the latest Canon gear such as the upcoming Canon Rebel T3i. 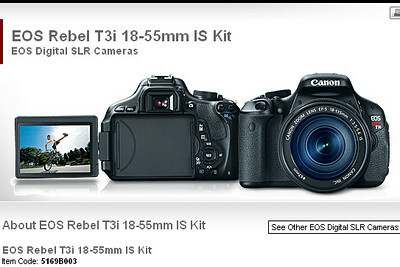 You may have seen the posts on the internet already, the Canon EOS Rebel T3i and T3 are coming to a store near you. It has been exactly a year since the Canon EOS Rebel T2i impressed the entry level DSLR market and it looks like the magic will appear again. As you noticed in the screen grab from the Canon USA website, the new T3i has an articulating screen just like the Canon EOS 60D. 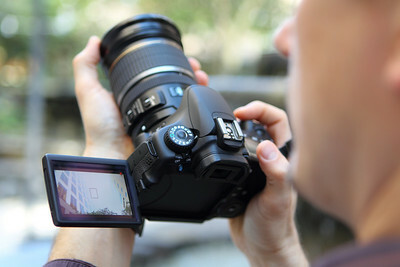 Also, like the 60D it has remote flash control, Full HD video capture and finally manual audio control over video. So, in a nutshell it is a baby 60D for a sub-$1000 entry level DSLR price! Amazing! 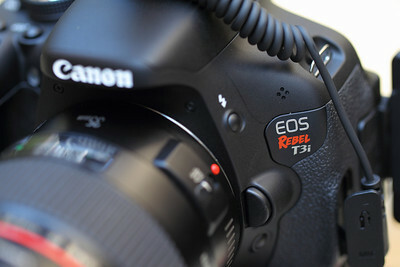 The Canon EOS T3 is projected as the Canon EOS Rebel XS replacement. It is bargain priced with a 12 megapixel sensor and the addition of 720p HD video. Consider it a slightly higher megapixel Rebel XS with 720p video. 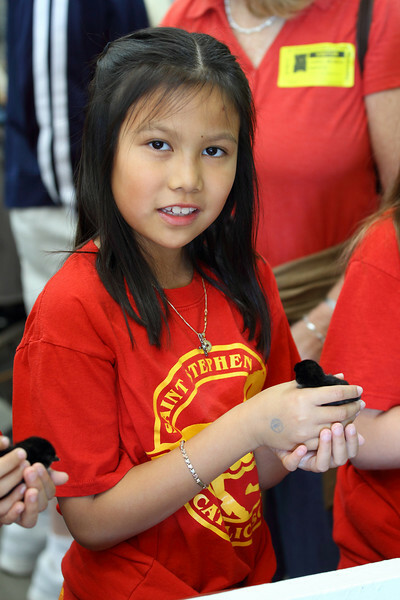 Not too shabby considering it is the basement entry level DSLR out there for Canon. As expected, keep updated on my PhotoBlog for my upcoming review of the Canon EOS Rebel T3i and all of its wonderful features. See you all soon! Microsoft Windows XP 32bit users rejoice! 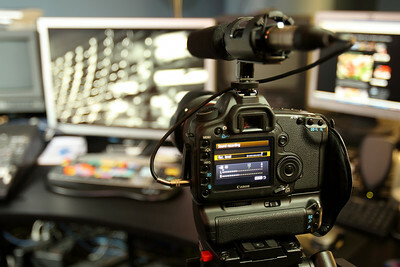 An affordable video editing solution for Canon HD DSLR workflows arrived for non-Apple MacOSx fans. My search for native video editing software for the proprietary Apple Quicktime H264 format without all that time consuming transcoding came to an end. For under $100 after rebate on Amazon, Adobe Premiere Elements 9 bundled with Adobe Photoshop Elements 9 is a great value for people who have not upgraded their computers to Windows 7. 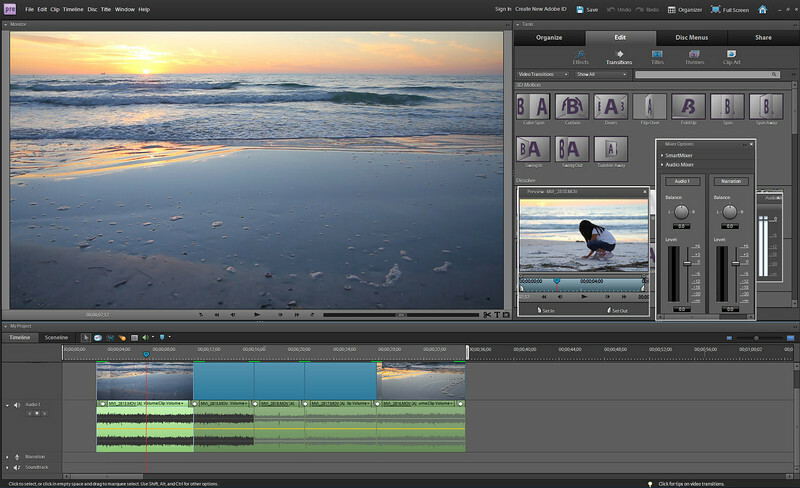 The more expensive Adobe CS5 Premiere Pro debuted in July 2010 touting native H264 video editing for Canon DSLR's. That is great and wonderful news for Windows Operating Systems but is almost two and a half years behind the HDSLR video editing curve. 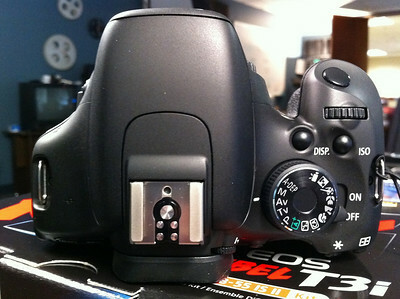 The Canon EOS 5D Mark II arrived in November 2008 with only Apple computers to harness the creative and powerful potential of this affordable cinematic tool. I discovered another monetary and physical obstacle for potential Adobe CS5 Premiere Pro users, the Windows 7 64bit operating system and hardware requirements. In a nutshell, Adobe CS5 Premiere Pro rejects Windows XP 32bit operating systems and hardware. It will not even attempt to install the program on your XP 32bit or 64bit machine. Nothing, Nada, Zero ! Do not misunderstand me for one second, I am a big fan of Apple MacOSx, Final Cut Pro and especially iMovie'09 and iMovie'11. I am also not blind to the fact that we live in a Microsoft Windows world with a captive audience hungry for an economical solution for Canon HD video editing. I installed Adobe Premiere Elements 9 on my Windows XP 32bit machine with a Intel Core 2 Duo processor with no problems. The editing interface of the Adobe Premiere Elements 9 is intuitive when you choose the timeline mode with separate video and audio channels. The ease of use stops at that point. Apple iMovie'09 and iMovie'11 is a better and easier program to jump into for first time video editors. 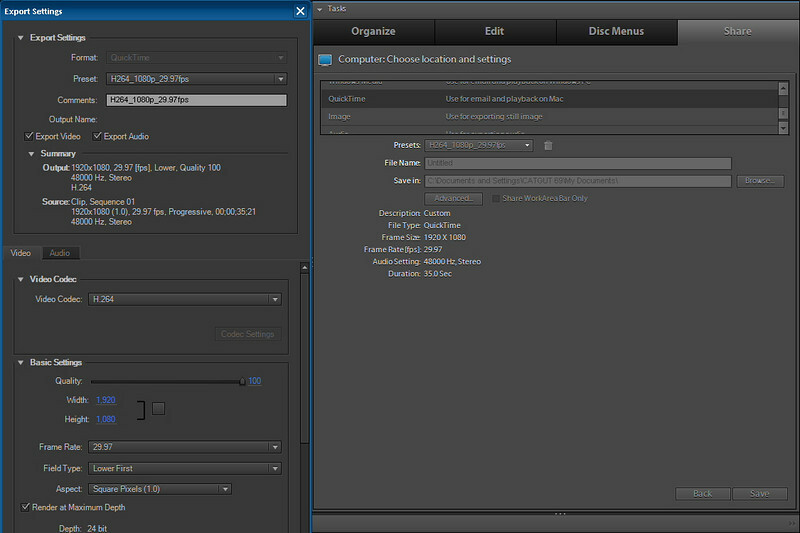 In Adobe Premiere Elements 9, my basic needs were importing Canon video footage, inserting video with audio and most importantly exporting the finished timeline to a h264 .MOV format. I accomplished these tasks with above average ease except exporting a Apple Quicktime h264 .MOV video file. With hair pulling difficulty, you have to "share" to export your timeline and choose the Quicktime export to your computer. Then you have to make a custom preset to export your timeline with exacting specifications like in the picture above to get a proper H264 video file. What a headache, right? I think Adobe caved in to Steve Jobs when the entire DSLR video world asked for a iMovie'09 and iMovie'11 Windows equivalent. Of course, submission to Apple means make Adobe Premiere Elements 9 less intuitive to Apple H264 users. Difficult? Yes. Impossible? No. In conclusion to my Adobe Premiere Elements 9 review, the video editing program for Canon HD video shines for under $100 after rebate. My Canon EOS Rebel T2i Video Test using the Adobe Premiere Elements 9 video editing interface proved easy to manipulate the footage but difficult to export a Apple H264 video file. Hey, beggars cannot be choosers when it comes to sub $100 video editing programs, right? What other choice do Canon DSLR users have? Windows Movie Maker? I would choose Adobe Premiere Elements 9 any day over Windows Movie Maker, by far. I shot the Youtube video with a Canon EOS Rebel T2i paired with the EF-S 17-55mm f/2.8 IS lens in Fort De Soto Beach Park. One last note, today marks the one year anniversary of ChadSorianoPhotoBlog. 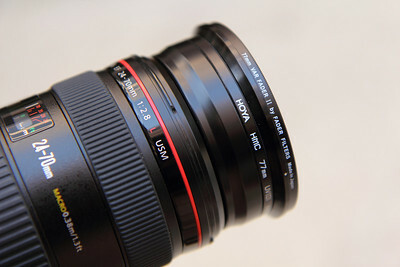 I cannot believe it has been a whole year of photoblogging about Canon gear. Well, I look forward to 2011 with a large embrace. Thanks to everyone for their support and encouragement!